If you're not aquainted with the Wizarding World of Harry Potter, first of all, you're probably living in a cave in Borneo, second, you're depriving yourself of one of the great joys of modern popular culture, and third, you have little hope of understanding the new prequel/spin-off film Fantastic Beasts and Where to Find Them. After seven novels, eight films and one play, Rowling seems to have decided her world is well established enough that the new film can take it for granted that you know the basics (and perhaps more), and makes little to no attempt the make the film accessible to non-fans. 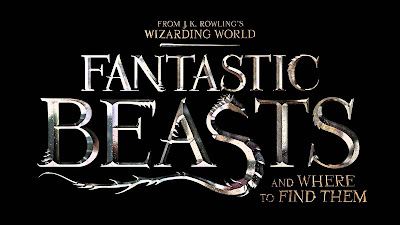 This is probably just as well, because Fantastic Beasts is one of the most spectacularly fun movies of 2016, and we can only assume non-Potter fans are against fun, magic and happiness. 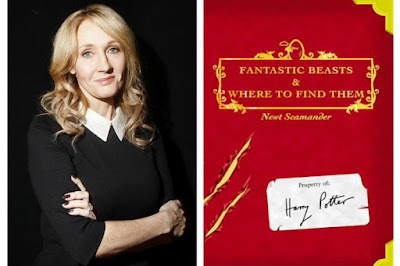 Loosely based on Rowling's 2001 faux textbook (one of the resources frequently turned to by Hermione Granger to dump exposition), Fantastic Beasts takes place in 1926, long before the birth even of Harry's parents, and is set in the U.S. rather than the U.K. Our new protagonist is magizoologust Newt Scamander (Eddie Redmayne), an intrepid and socially awkward expert on magical creatures. Scamander has come to America for undisclosed reasons, carrying a suitcase full of the titular fantastic beasts (the suitcase is bigger on the inside, much like Mary Poppins' carpet bag or Doctor Who's TARDIS.). 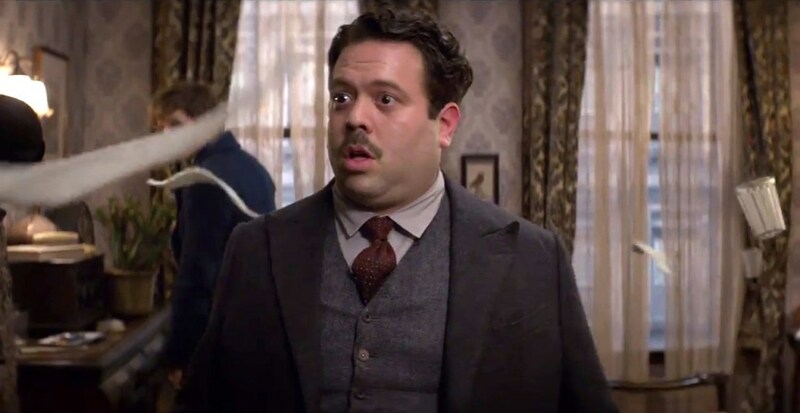 He has come to visit New York, just as newspapers the world over, but especially in America, are abuzz with hysteria over the threat posed by Gellart Grindlewald, an extremely dangerous Dark Wizard (if you're going into this rusty, at least brush up on who Grindlewald is. While the filmmakers do a good job of setting up his presence, you're missing out on some things if you're not familiar with the character.). Meanwhile, a "No-Maj" (the American word for Muggle) named Jacob Kowalski is trying to follow his simple dream of opening a bakery, using his grandmother's recipes, but he has no collateral for a loan. But when a chance meeting with Mr. Scamander causes them to switch briefcases, his life suddenly becomes a lot more complicated. 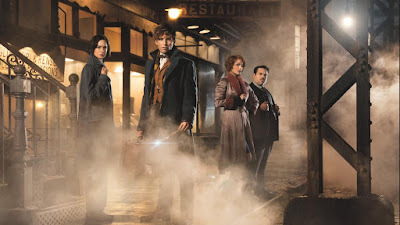 Furthering Scamander's difficulties is an investigator for MCUSA (The Magical Congress of The United States of America) named Porpentina Goldstein (Waterston), who hauls him in for questioning; a group of fanatics who call themselves the New Salemers, who believe that witches live among us and need to be stopped, and an intense MCUSA agent named Percival Graves (Farrell), who seems like he might be hiding a personal agenda. 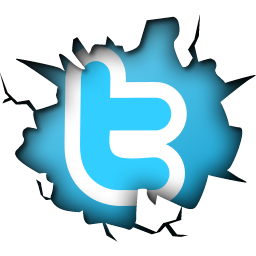 To give away anything more would be unnecessary and unwelcome. Suffice it to say that this is one of the most rousing, entertaining blockbusters of the year, featuring memorable characters, intriguing twists, a good (and timely) message about tolerance, and . 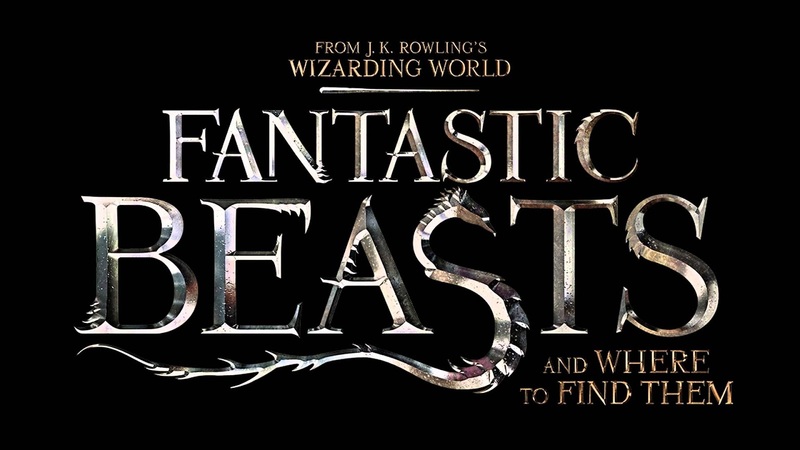 . . well, fantastic beasts, obviously. Scamander's menagerie of magical creatures are both wonderful and awesome. Yes, they are C.G.I., but it's great C.G.I., and they feel like real animals because they have the distinct personalities of pets that you've grown to know and love. Rowling is famous for her possessive love of her characters, and in this movie that comes through as strongly in her titular creations (none of whom speak) as it does in any of the humans. Some of this should also be credited to Yates and the effects team, but it definitely begins with Rowling. The cast is strong, ably led by Redmayne as the socially awkward Scamander. Redmayne is so committed to the awkwardness that the performance can get a little jarring at times (it's surprisingly jarring watching a film where the lead actor is working so hard to avoid eye contact with his fellow cast members.). But his goofy charm wins out, and the character is decidedly endearing. Waterston and Sudol, as sisters "Teenie and Queenie", are delightful, and Rowling has clearly set out to give the story a secondary female lead as opposed to a love interest. Collin Farrell is quite compelling as Graves, supplying the necessary gravitas. But undoubtedly the breakout performance comes from Dan Fogler as Jacob. Funny, charismatic and lovable, Jacob's every-man provides the outsider's viewpoint to the proceedings, and transcends being the portly comic sidekick to be the emotional core of the film (he's the Phoneix feather that powers the wand, if you will.). We honestly think he should be looked at as a dark horse nominee for Best Supporting Actor at Oscar time. By this point, director Yates has become a master of this material and this world, and his direction here is first-rate. With the help of virtuoso cinematographer Phillipe Rousselot, production designer Stuart Craig, costume designer Colleen Atwood and editor Mark Day, Yates has created a film where every frame is visually exquisite, and the only thing that isn't a joy to behold is Ezra Miller's haircut, and even that fits the character perfectly. And composer James Newton Howard has delivered one of the best scores of his career, which encompasses multiple styles and genres and includes themes you'll hum long after you walk out of the theater. Fantastic Beasts is the sort of grand, big-screen visual and sonic feast that takes you to another world at a time when many of us badly need to leave his one for a couple of hours. A great cinematic adventure has never arrived at a better time. Those going into the movie expecting kiddie fair should keep in mind how dark the later installments of the Potter series can get, however, and this features some characters and situations that could be disturbing to younger viewers (a plot element involving the abuse of children, and the potential subtexts to be read into it, is particularly heavy and may come as a shock to some.). It's definitely aimed at 11 and up, with the emphasis on "up." Still, it's a grand adventure for the family, you may just want to hire a sitter for the little ones.